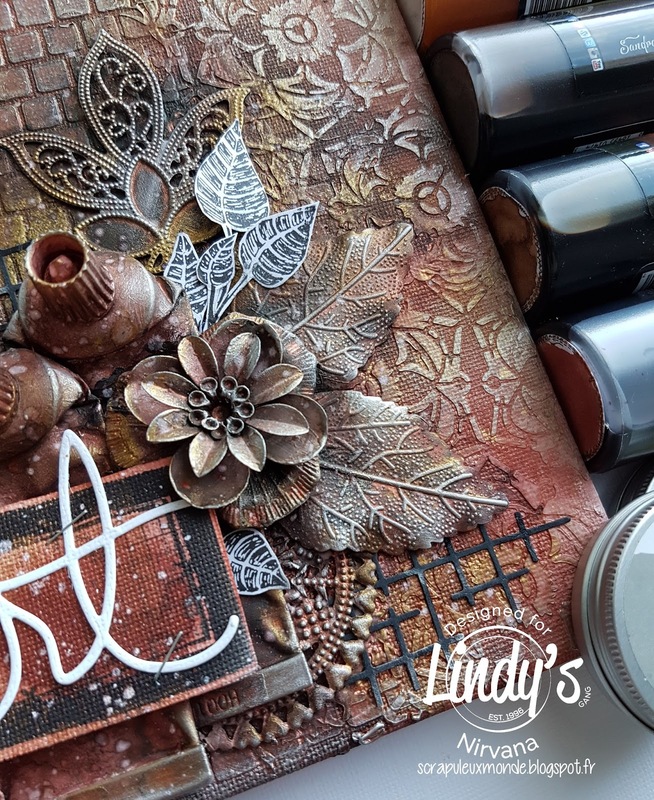 Mon Scrapuleux Monde: My art... rusty! 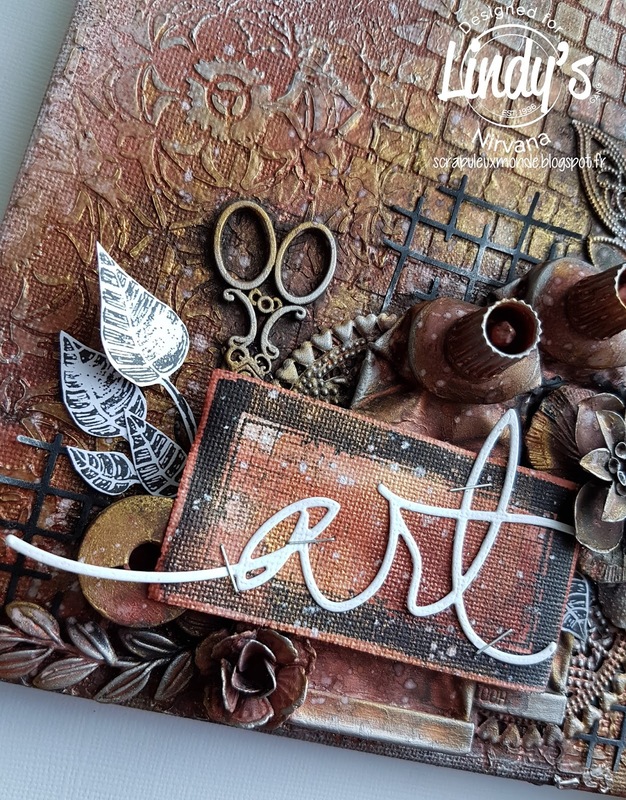 Lindy’s and Stencil Girl Blog Hop! My art... rusty! 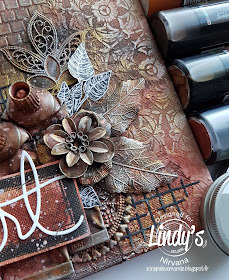 Lindy’s and Stencil Girl Blog Hop! 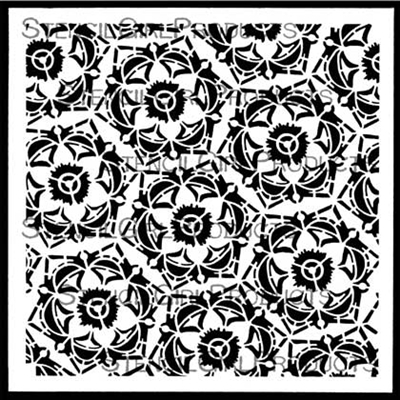 ET un certificat-cadeau de 25 $ aux produits StencilGirl! 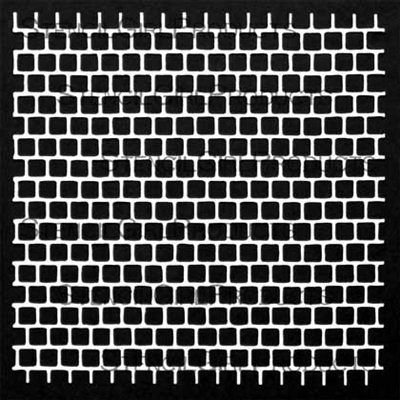 Participez pour gagner en laissant un commentaire ci-dessous. Alors assurez-vous de visiter les autres blogs dans le saut et commentez pour gagner. Plus vous commentez de blogs, plus vous avez de chances de GAGNER! Un gagnant sera choisi au hasard parmi tous les commentaires du blog! Vous avez jusqu'au mardi 24 avril à 23h59 heure du Centre pour laisser vos commentaires. Le gagnant sera annoncé sur la page Facebook de StencilGirl et la page Facebook de Lindy's Gang le mercredi 25 avril. I really love the color palette! Love your creation! 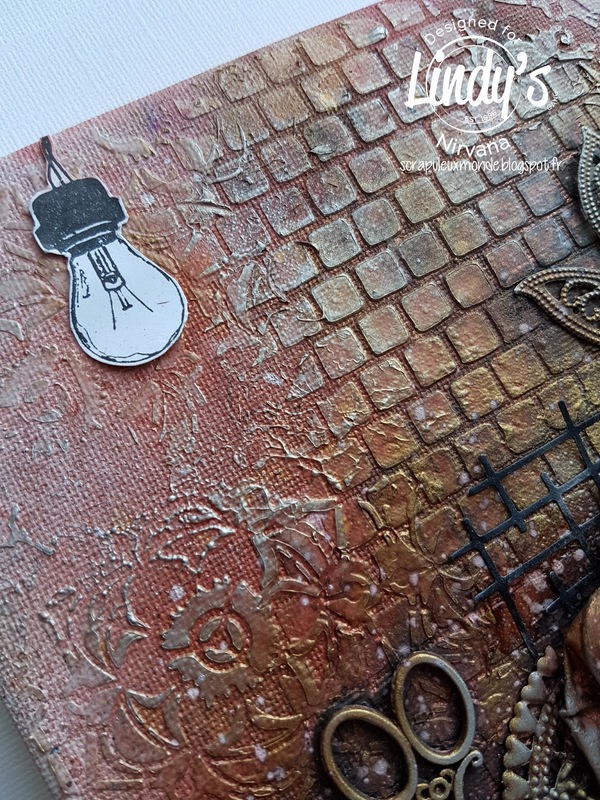 The background is amazing and the entire focal point layering is stunning! Its is a gorgeous piece Thank you for sharing! I am blown away by the background! Love the textures and colors... the rest is beautiful, too. I am blown away by that background... it is awesome! So much detail in the entire piece. Very very nice!! always a big fan you style,this project is even more lovable. Stunning work. Love the textures and background. Wow quel travail! C'est vraiment magnifique! What a beautiful canvas! The colors are lovely. Gorgeous page and I love all the beautiful details with these colors. Great job. Love the layers and the use of browns - a very undervalued color. 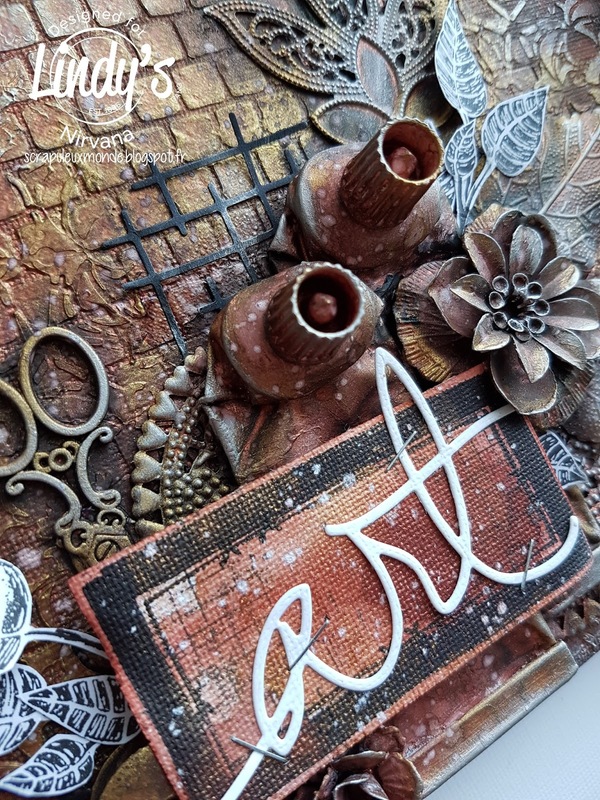 Love the colors and textures on this gorgeous piece! Great combo, SG & Lindy's. Love your canvas, beautiful colors and thank you for sharing the process. Beautiful work!! Especially love the stencils used! I love the fabulous texture and colour combination on your project! Thanks for sharing! This is beautiful, I love the texture and colors. You've put all these elements and media together in a beautiful way, Berthea! Thanks for sharing. 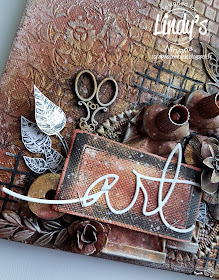 Love the background texture and the lovely cluster of embellishments. Beautiful canvas! Oh oui je participe! 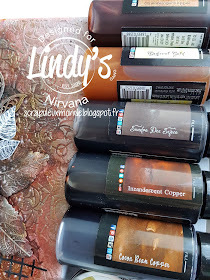 Trop envie de tester ces produits! Bonne chance! Wahhh c est trop beau. Just look at all of those gorgeous layers and colors! Love the layers and the completed piece. Gorgeous! I loved your stunning work! So many textures and beautiful colors! Thank you so much for sharing your inspiration!